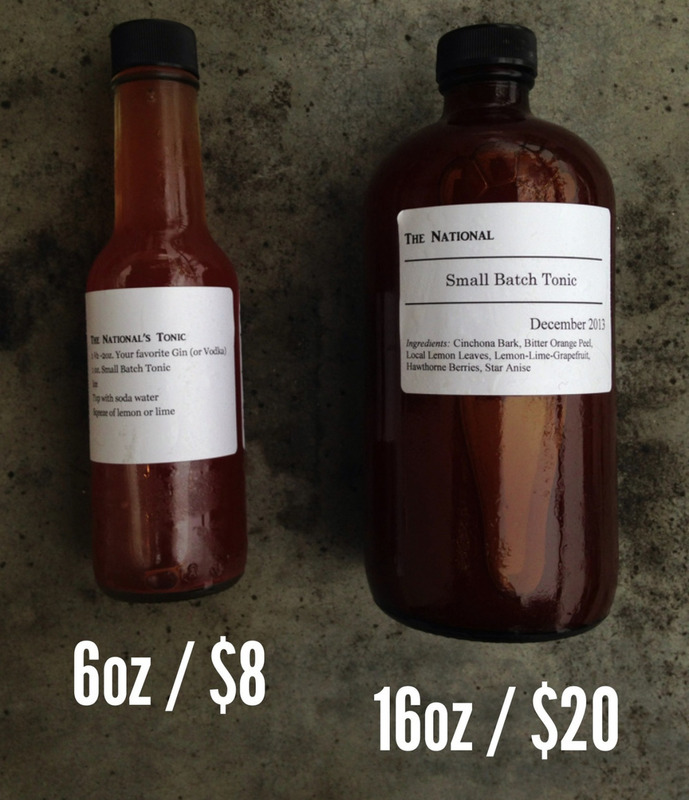 Our house-made, small batch tonic syrup is bottled and ready for your holiday gift needs! This is the ultimate gift for the DIY bartender in the family. Just add gin and soda for a delicious craft cocktail take on the classic! Tonic is available for purchase at The National in 6 and 16 oz. bottles. For other gifts, we also offer gift certificates, restaurant t-shirts, Martina and Georgia olive oils, Maldon sea salt, and autographed copies of A New Turn in the South and Secrets of the Best Chefs.